This life science title describes how an oak tree grows. The text structure is descriptive and sequential. Kids will be helped with word recognition through the tight picture-text correlation. 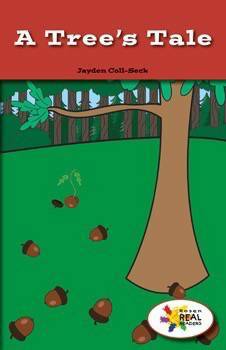 This fiction title is paired with the nonfiction title All About Forests.